Here at NYLON, we’re obsessed with achieving a pair of full, groomed brows (or maybe it’s just me – hi there, Jade again ). Unfortunately, the road to getting there can be quite a bumpy one. All those years of tweezing, waxing, tinting, and incorrect styling techniques have left us teeming with regret, which goes to show that nailing a flattering brow shape can be incredibly tricky indeed. 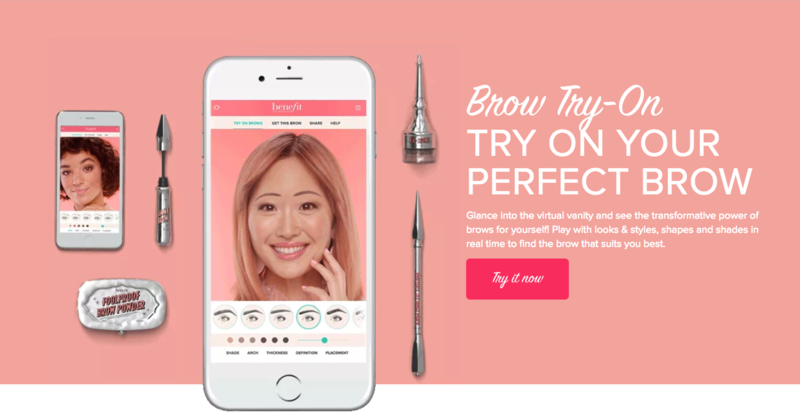 But if you’re looking to reshape your brows right now, put those tweezers down and try out this genius virtual tool Benefit Cosmetics just launched. 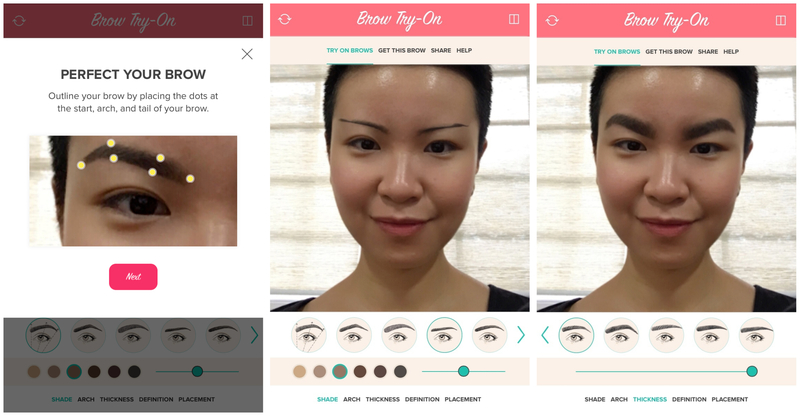 Aptly named the Benefit Brow Try-On, it allows you to virtually try on different brow shapes, so if you’ve ever wondered what you’d look like with straighter, thicker, lighter, or darker brows with higher arches, this online tool is meant to keep you from tweezing your brow hairs to oblivion and experimenting with a ton of unnecessary styling products. Intrigued, I gave the Brow Try-On a whirl and forced invited my colleague Joel to give it a go as well. 1. 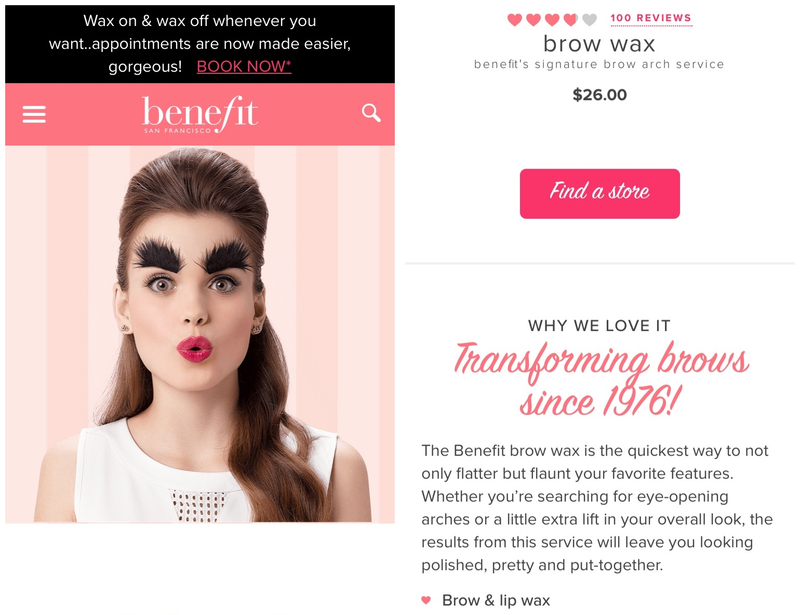 Using your phone, head to BenefitCosmetics.com and click “Try it now”. 2. 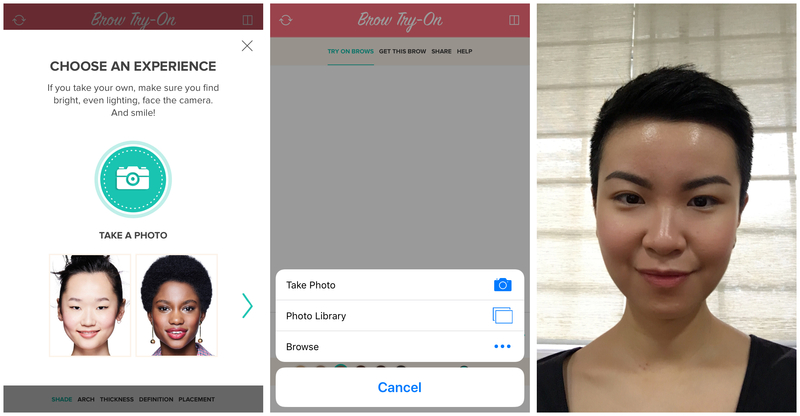 From the interface, upload a selfie or take one with your phone. Sorry, but you’ll be seeing more of this greasy mug. Once you’ve outlined both brows with the dots, go ahead and try on all 15 brow shapes and 6 shades, which allow you to tailor the arch, thickness, definition, placement, and darkness of your brows. I’m actually pretty happy with mine right now, save for the perpetual frown formed by my natural arches, so I’ve always wanted to know what I’d look like with slightly straighter brows. Okay, clearly the Kate Moss look isn’t for everyone. I look like an entirely different person. Can’t pull off those caterpillar brows either. Of course, I picked the extremes just to humour myself. Let’s see what this virtual tool can do to Joel’s bushy brows. Our main takeaway: the larger the brows, the smaller the eyes. 4. Once you’ve decided on a look, select “get this brow”. It’ll tell you the exact look you’ve created and the Benefit products you’ll need to achieve it. What I learned is that the smallest tweak can make a huge difference when it comes to brows. Sometimes, it’s as simple as filling in the bottom a little more, or extending the tail ends of your brows a tad. Now, I’m definitely going to try taking my arches a wee bit lower just to soften my overall look. 5. Book your brow service! We like taking things into our own hands, but it’s always more practical to head down to one of Benefit’s brow bars for a quick wax and a consultation session. Lord knows we need tips. Bring in your before and after pictures and let the brow experts work their magic. 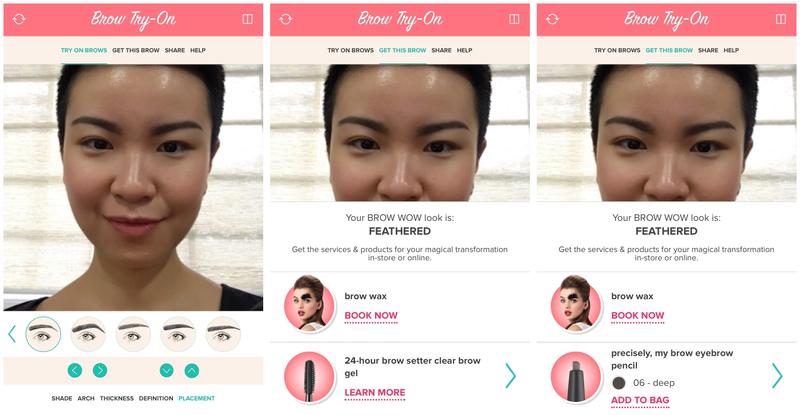 Benefit Cosmetics’ Brow Try-On, available now on benefitcosmetics.com/sg.